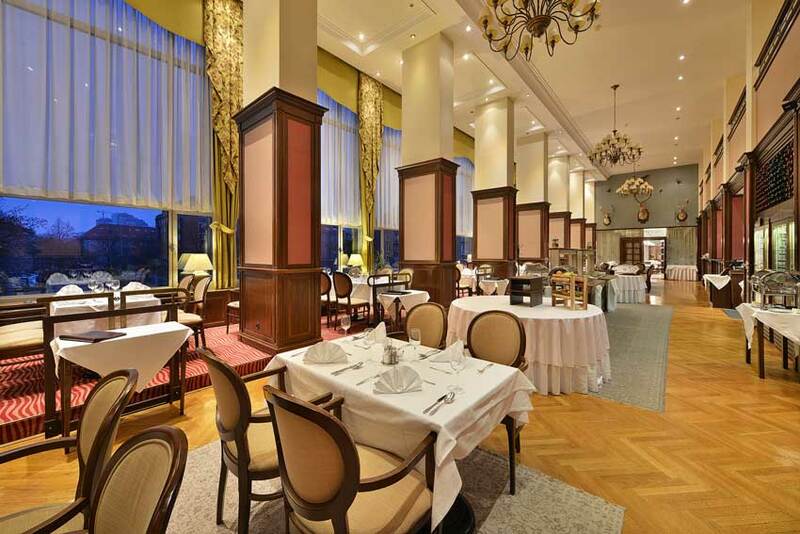 Several times awarded St. Hubert Restaurant is well-known for its venison dishes and excellent international cuisine. In the year 2015 the restaurant interior underwent a new styling for purpose of adjusting to up-to-date trends and at the same time to retain its uniqueness. Beautiful views of the square with its famous “Lovers” fountain exponentiate the pleasant environment of the restaurant. The inner space offers friendly sitting in the boxes, which will provide you for privacy. 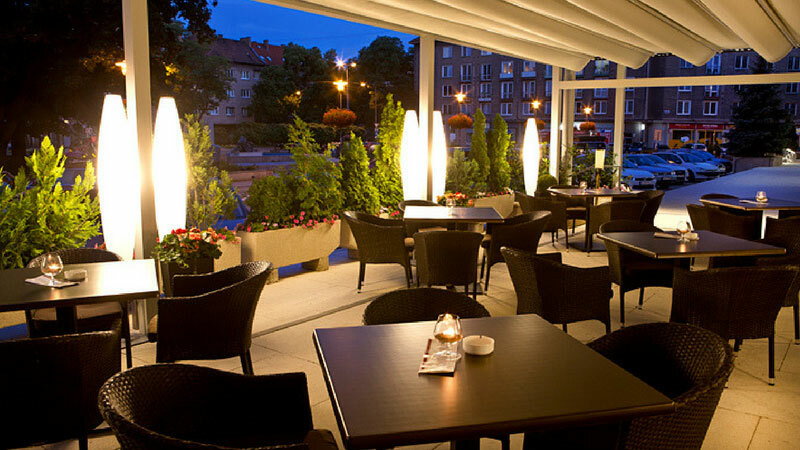 If you make reservation on our website, we grant you 10 % discount from the a la carte menu. Enjoy the taste of your cup of coffee in a friendly atmosphere of the Lobby bar and along with it choose one of our outstanding desserts prepared in our kitchen. The menu offers favourite dishes served with beer or wine, healthy salads and various pasta meals. Besides à la carte menu we would like to offer you our daily lunch menu, served during lunch time on workdays. You can enjoy it together with your friends or colleagues. Sunday lunch with us is a perfect solution for those who like to share lovely time with his family or friends. Summer Terrace is an ideal place for sitting together with your friends or members of the family in a familiar environment with beautiful views of the square with its famous “Lovers” fountain, surrounded by lawns, flowers and trees. There is a modest kid- nook on the terrace too.